Posted November 6, 2011 in Fantastic Four, Giorgio Cavazzano. 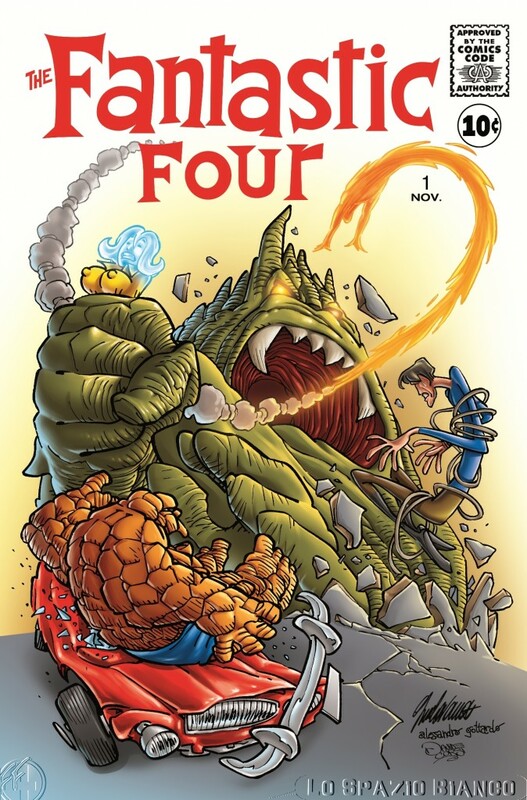 Many thanks to Davide Occhicone for contacting Kirby-Vision with the news that Italian comic website Lo Spazio Bianco is currently celebrating 50 years of the Fantastic Four. Over the next few weeks the website will be presenting 33 brand new pieces of art paying homage to Kirby and FF’s momentous debut issue. Fantastic Four #1 re-imagined by legendary artist Giorgio Cavazzano.